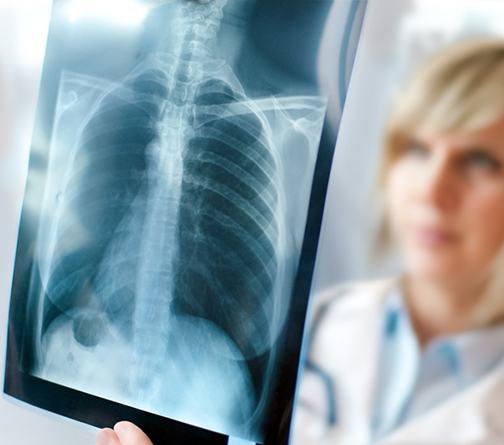 COPD (Chronic Obstructive Pulmonary Disease)is a lung disease that makes it hard to breathe. It is caused by damage to the lungs over many years, usually from smoking. Chronic bronchitis, the airways that carry air to the lungs (bronchial tubes) get inflamed and make a lot of mucus. This can narrow or block the airways, making it hard for you to breathe. Emphysema, in a healthy person, the tiny air sacs in the lungs are like balloons. As you breathe in and out, they get bigger and smaller to move air through your lungs. But with emphysema, these air sacs are damaged and lose their stretch. Less air gets in and out of the lungs, which makes you feel short of breath. COPD gets worse over time. You can’t undo the damage to your lungs. But you can take steps to prevent more damage and to feel better such as Salt Halo Therapy. COPD is almost always caused by smoking. Over time, breathing tobacco smoke irritates the airways and destroys the stretchy fibres in the lungs. Other things that may put you at risk include breathing chemical fumes, dust, or air pollution over a long period of time. Second hand smoke also may damage the lungs. It usually takes many years for the lung damage to start causing symptoms, so COPD is most common in people who are older than 60. Mucus that comes up when you cough. Shortness of breath that gets worse when you exercise. As COPD gets worse, you may be short of breath even when you do simple things like get dressed or fix a meal. It gets harder to eat or exercise, and breathing takes much more energy. People often lose weight and get weaker. At times, your symptoms may suddenly flare up and get much worse. This is called a COPD exacerbation. An exacerbation can range from mild to life threatening. The longer you have COPD, the more severe these flare-ups will be. Inhalation of dry salt crystals is clinically proven to cleanse the respiratory system and to speed up the elimination of toxins. Dry salt crystals work as a “Bronchial Brush” for the airways, reducing inflammation and restoring the normal transport of mucus secretion and freeing blockage in the Bronchi and Bronchioles leading to rapid elimination of the residual tar and foreign allergens. Salt Halo Therapy can not only bring much needed relief, but also prevent the frequent recurrence of your symptoms. Prescription drugs and inhalers may bring immediate relief, but used as a complementary treatment Salt Halo Therapy has a lasting effect. Salt kills bacteria, which is a major element of bronchitis. Salt Therapy widens the airways by reducing inflammation. Salt Therapy helps to shift retained mucus and therefore reduces the chance of infection. During the Salt Halo Therapy sessions clients will see a decrease in cough frequency and intensity, and that it’s easier to cough up mucus, which becomes less sticky and changes in its nature. Salt Therapy is a clinically proven complementary natural, safe and beneficial method of treatment for every age group. Make your breathing easier after just a few sessions.